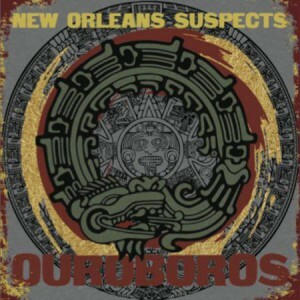 An amalgamation of seasoned musicians called New Orleans Suspects delivers Ouroboros. Ouroboros is a powerful symbol, an ancient circular icon of a serpent eating its own tail-that symbolizes cyclicality and things that begin anew as soon as they end. This idea perfectly describes New Orleans Suspects, a band that represents a second chance, or a rebirth, for its veteran members. Their combined resumes include time with The Neville Brothers, Professor Longhair, The Radiators, James Brown, Dirty Dozen Brass Band, Outformation and Polytoxic among others. New Orleans rhythms, grooves and cultural references abound in this musical gumbo, along with funk, soul, blues, rock and R&B influences. All of these ingredients blend to create an album of well-crafted original songs. The proceedings kick-off with a breezy and funky stroll through the New Orleans sound of “Get Back What You Given”, featuring the excellent sax skills of Jeff Watkins as well as the talented guitar skills of Jake Eckert. Individual lead singer credits aren’t given here as elsewhere, but the vocals are always fine. More tasty funk enlivens “Cigarette Smile”, although the significance of the title escapes me. Stevie Wonder-like keyboards, organ the ever present saxes make this another winner. The first of three instrumentals, “Pocketful Of Grits” is propelled by the percussive skills of long-time drummer for The Neville Brothers “Mean” Willie Green. Willie and the guitarist get plenty of time to stretch out in between the glorious horns. After a clattering cacophony of instruments at the intro “Hoodoos And Cunyans” settles into an atmospheric and spooky groove with some slithering slide guitar. The third instrumental “Yo Flambeaux” has “Yo Flambeaux bring that fire” chanted over the music of this electric piano and horn based party-time song. “Soothe Me” is a feel good song that benefits from some slinky slide guitar work. Professor Longhair style piano playing bolsters the New Orleans groove of the upbeat “Things(In Your Mind)”. “Carnavale” is another in the tradition of Mardi Gras anthems. 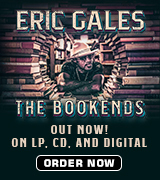 This percussive gem is well executed and chock full of the usual New Orleans references. “Walk Of Shame” has a fifties Ernie K-Doe meets The Coasters feel with some catchy King Curtis-like sax. Another case of well-traveled musicians bringing their various influences together to create some new and refreshing. 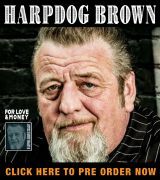 New Orleans musical goodness and a lively spirit make this recording one that reveals new musical nuances at every listening.